Endoca Cannabis Crystals 99% Pure CBD isolate. Highest purity concentration that Endoca offers. This format is perfect for those who want to formulate their own edibles, cosmetics or vaping juices. 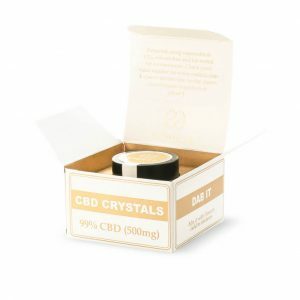 CBD isolates are extracted from the cannabis sativa plant, which is why they are known as cannabis crystals. Like Endoca’s other CBD products, the CBD used in their crystals comes from EU certified organic hemp using the state of the art Supercritical CO2 method.